all of which can be applied from this age through their adult life. Your gift allows us to share the sport of sailing and provide opportunities for those less fortunate, by bringing our community together on the water and beyond. Your support as a Donor provides the financial foundation that is needed to provide the ability for YSV to maintain its fleet of 18 FJ’s, the temporary floating docks, programs, and accessories required to keep our sailors safe on the water. Your donation ensures that future generations will have the opportunity to experience the sport of sailing for years to come. 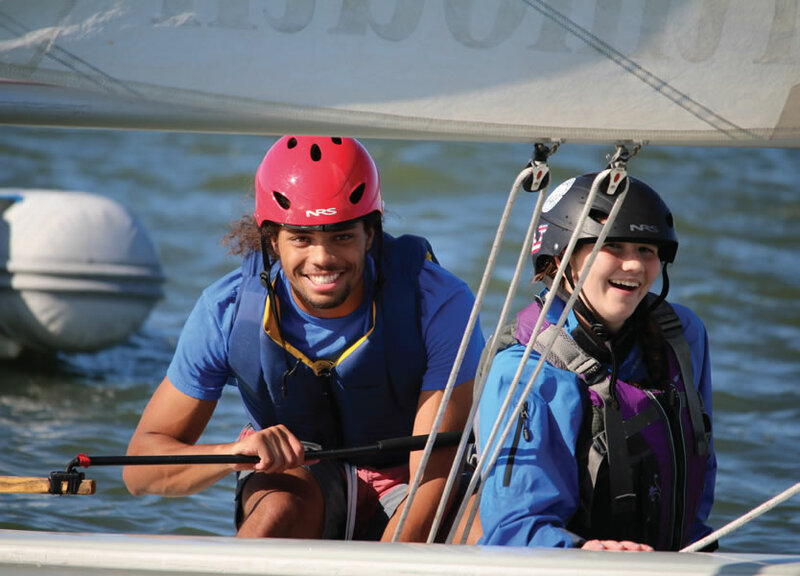 $50 provides a safety helmet that sailors are required to have during camps, practices and regattas! $60 provides a Coast Guard Approved Life Jacket for sailors! $250 provides an underserved student the opportunity to learn-to-sail! $600 provides the opportunity to purchase a NEW Dolly to move boats around as needed! $1,800 provides a NEW set of CFJ sails! $2,000 provides the opportunity to name a boat in honor of someone! $8,000 provides the opportunity to purchase a NEW CFJ! $25,000 provides the opportunity to purchase a NEW safety boat! Or you may use your credit card to make a secure online donation below. You don’t need a PayPal account to donate. Simply type in the amount you’d like to give. Donors who gift $2,000 or more will be included into our Community Cruisers Circle and are recognized by naming a boat or sail upon opportunity and approval. Option #3: Sponsor an event, program or sailor! There are many opportunities throughout the year to make a difference in our community! To learn more about sponsoring or participating in one of the above events please email communication@youthsailingva.org. If you don’t want it anymore, we might! Thinking of tossing it away? We may want it! If you have items to donate, please email Kevin Eley at kevineley@cox.net. Thank you. Climb Aboard and Give Back Through Our Volunteer Program! If you love sailing as much as we do …..then you have landed in the “right” boat! YSV has a wide amount of volunteer needs from assisting sailors during a program, working a regatta or special event, general maintenance on our fleet of FJ’s, to restoring a donated boat, building racks or other such needs. Click here to download a Volunteer Application! Thank you! This past year provided many exciting opportunities for high school youth in our area to participate in sailing programs. Our Fall high school program greatly expanded this year and now includes 56 students from six area high schools including Kecoughtan, Phoebus, Hampton, Bethel; three middle schools including Jones, Phoenix and Spratley and Hampton Roads Academy and Peninsula Catholic High School. 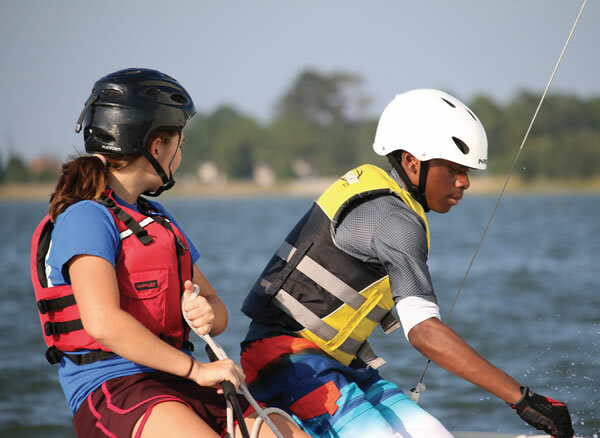 Students from these schools honed their skills during afternoon practices at our new Sailing Center, located on Mill Creek at historic Fort Monroe. 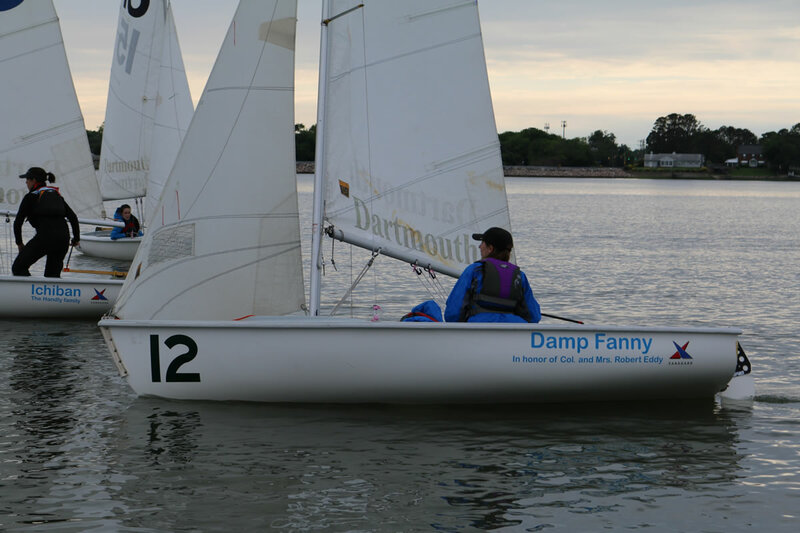 During the spring, these students put those skills to the test during the Mid-Atlantic Scholastic Sailing Association’s (MASSA) Silver Championship and the Girl’s Championship and the Virginia Interscholastic Sailing Association (VISA) Girl’s District Championship. During the summer, we expanded opportunities for the area’s middle school youth when we collaborated with the City of Hampton Parks, Recreation and Leisure Services. We provided scholarships to middle school aged children to enable them to participate in our first “LEARN TO SAIL” program. Throughout the summer, we taught them to sail using US Sailing’s REACH curriculum, which applies science, technology, engineering and math (STEM) concepts through sailing. Two of the participants have since joined our high school sailing program, where they will continue to expand their sailing knowledge and skills! Plans are already underway for our 2019 Learn to Sail program so stay tuned! This year we were excited to realize a vision that began several years ago that greatly expanded our facilities. The City of Hampton completed construction of a permanent dock on Mill Creek at Fort Monroe. This dock is our new home for our fleet of 18 Flying Junior sailboats and is our new practice and regatta venue! Located adjacent to the Fort Monroe Community Center, the dock will enable YSV to expand our youth program and support City of Hampton citizens with access to water activities through Parks and Recreation facilities. We also moved into our new Sailing Center, located adjacent to the Hampton Community Center on Fort Monroe. We use this center as a classroom for the LEARN TO SAIL program. 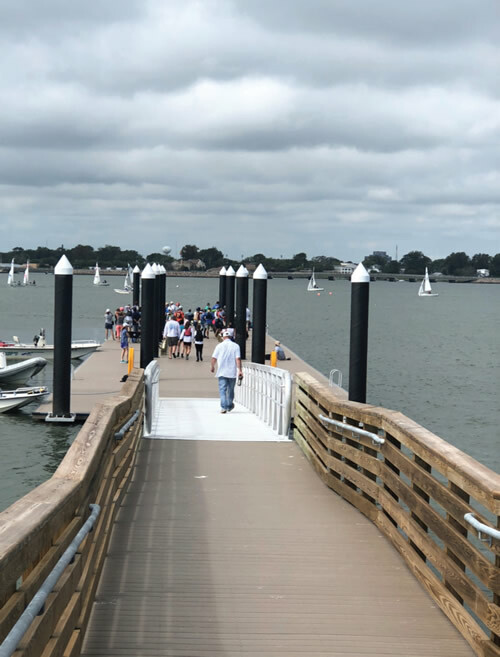 We have already used the dock in October when we hosted the VISA Fall Championship and the MASSA Fleet Championship Regatta. Each of these regattas brought over one-hundred sailors, coaches and families to the region for the weekend from New York, New Jersey, and Maryland to test their skills against our local sailors.